So what’s the story? Well, the apocalypse has come and gone. Somebody pushed the button, and only the few who made it to the underground metro survived. They’re still there, decades later, unable to come out (except for Stalkers, who wear gas masks and protective gear). Pockets of civilisation have formed at different stations, each with their own politics, religions and mythologies. The civilization most northern outpost, a lonely metro station, attacked by mysterious creatures that somehow have awoken in the recent war. The world lies in ruins, the surface is contaminated, and a prey to the sun's deadly rays. 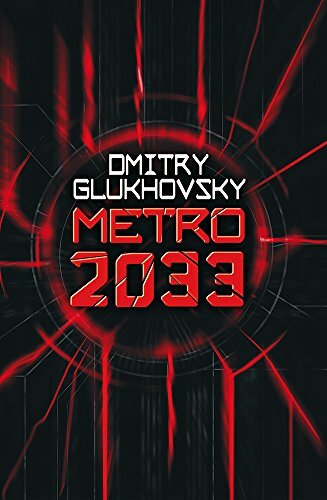 One last human remnant have sought protection in the Metro, the world's largest nuclear bomb secure bunker, where stations have been transformed into small city states with their own ideologies and governments. Everywhere there is a constant struggle for living space, water filters, electric heaters and fungal cultures, all while darkness and terror reigns in the tunnels. A young man is forced out on a dangerous journey through the subterranean maze of tunnels, shafts and sidings, where nobody knows what to expect around the next corner. "Are you tired of stupid Young Adult books with stupid protagonists who are worried about who they should kiss rather than how to survive? Then this is for you. Real survival, real struggle, and a very elaborated setting take Metro 2033 to new levels of "things went wrong here".